Is Cornwall's Pengersick Castle Haunted? 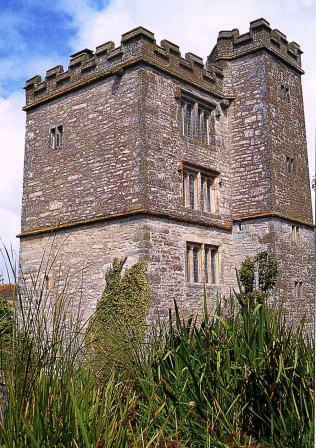 Pengersick Castle is a fortified Tudor manor house in Praa Sands, Cornwall, near the town of Penzance. History at the site of the Castle goes all the way back to the bronze age, 5,000 years ago but the oldest part of the building still standing dates back to around the year 1500. On 15th January 1527 the Portuguese carrack ship Santo Antonio was shipwrecked on Gunwallo Bay due to stormy conditions. Only 45 of the 86 crew members survived and much of the £18,800 worth of cargo was lost. It's thought that Henry Pengersick haunts the castle. He had the reputation for being something of a psychopath and hated Ecclesiastic figures and was even excommunicated for killing a monk in Gloucestershire. His wife Engrina Godolphin is said to haunt the master bedroom, perhaps because she was so unhappy in life with her husband? Many people see her staring out of the window in the early hours, before she vanishes from sight.